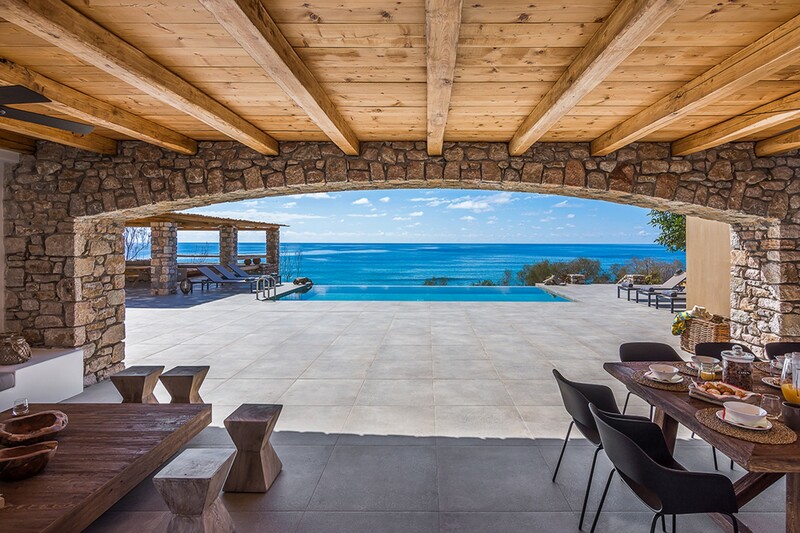 Welcome to Celia, a 12-bedroom beachfront villa in Crete, Greece. This breathtaking secluded villa can occupy up to thirty guests making it the perfect getaway location for you and your loved ones to stay and enjoy this tranquil home. The Villa is comprised of twelve bedrooms and a beautiful guest house while offering a vast variety of amenities that add the feeling of a five-star resort. Privacy is the main feature of this villa. 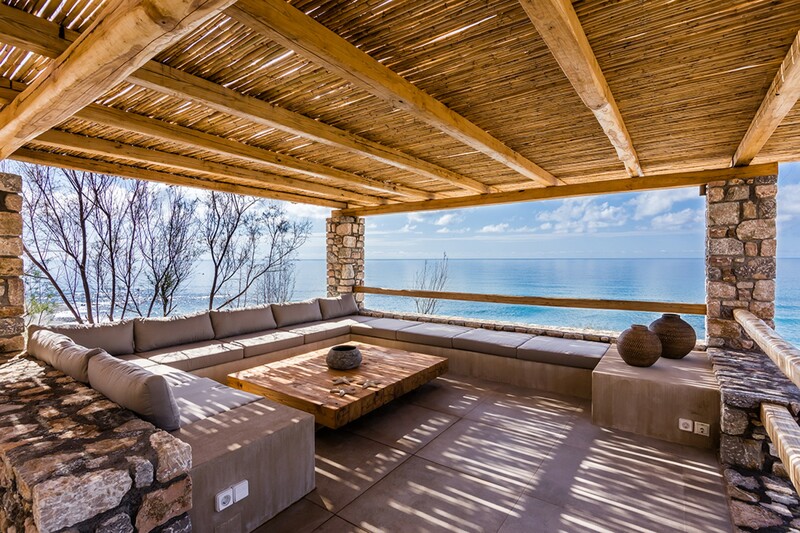 Situated on the sandy beachfront, your dream villa, Celia, has spectacular views over the Lybian Sea. The modern layout and contemporary residence offer panoramic views of wonderful sunrises and sunsets. 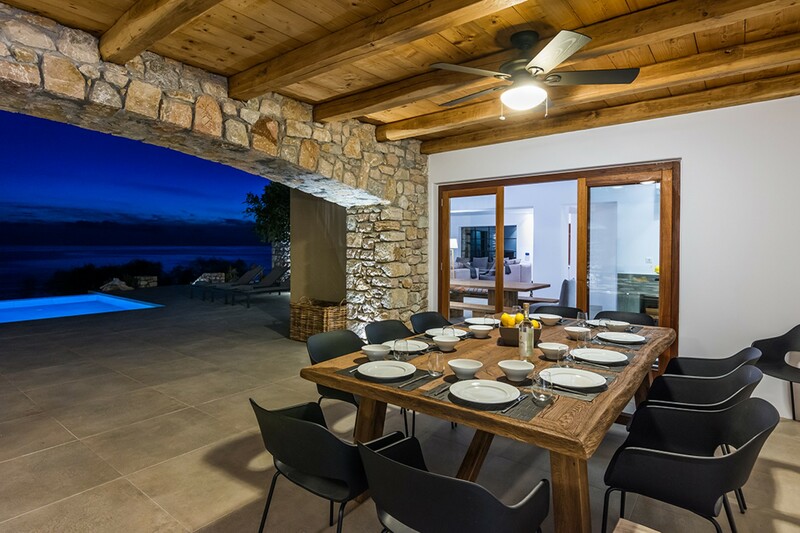 It is the perfect property for a large group of friends or families to enjoy the Cretan way of life. This beautiful villa consists of three blocks, the main house, the guesthouse block and an extra guestroom by the sea. The main house which sits on a slight hillside, including three floors of luxurious rooms. Starting up on the top floor, this villa features the majestic master suite bedroom with an attached en-suite bathroom and standalone rainfall shower. The bedroom has the most breathtaking views of the turquoise waters. The Master suite is full of indulgent features. The bedroom has a large bed with soft linens and plush cushions as well as having a comfortable sofa bed. There is direct access to your own private veranda fitted with an outdoor barbeque. Following the stairs down to the mid-level you will discover another two bedrooms, one with a luxurious double bed and the other with three single beds. 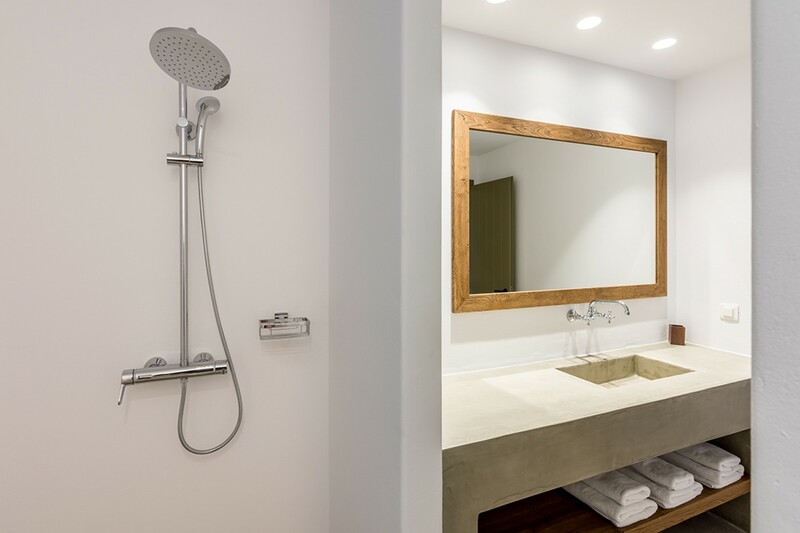 Both bedrooms have a private en-suite bathroom with stand-alone rainfall showers. Making your way down to the lower level in the main house you will find two more bedrooms with a double bed and one with three single beds, each with en-suite bathroom and stand-alone shower. The lower level of the main house is where you will find the main living areas of the villa. 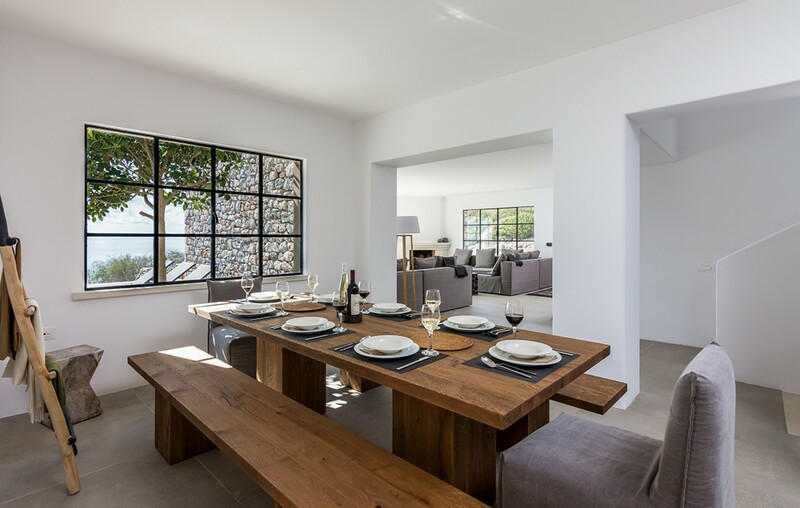 Celia is a sophisticated and modern villa covering a total of 600 sq. meters. The Living room is pristine with whitewashed walls making the space light and relaxed. There are plush sofas around the room and they sit facing the incredible views and the high-resolution television in the corner. The living area blends into the dining area can seat up to eight guests. 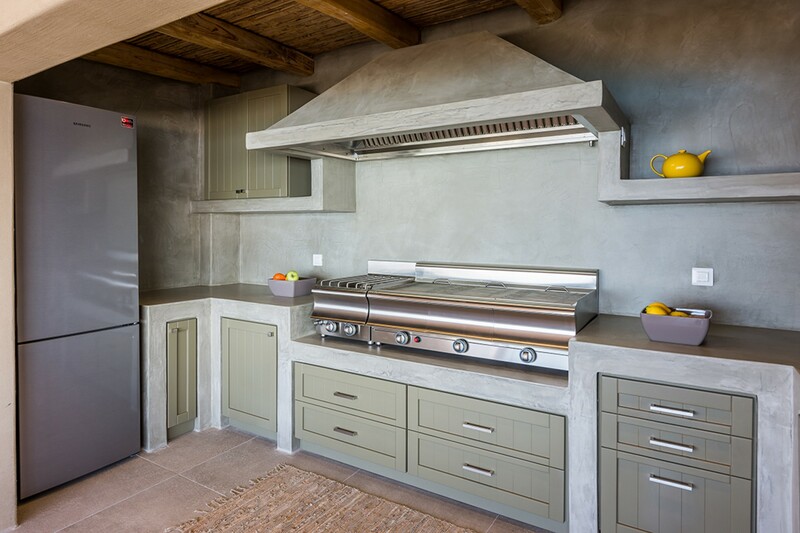 There is an open kitchen that is fully equipped to suit all you need if you wish to try out a few new recipes. These living areas indulge in the stunning view of the sea and plenty of light due to its big windows. 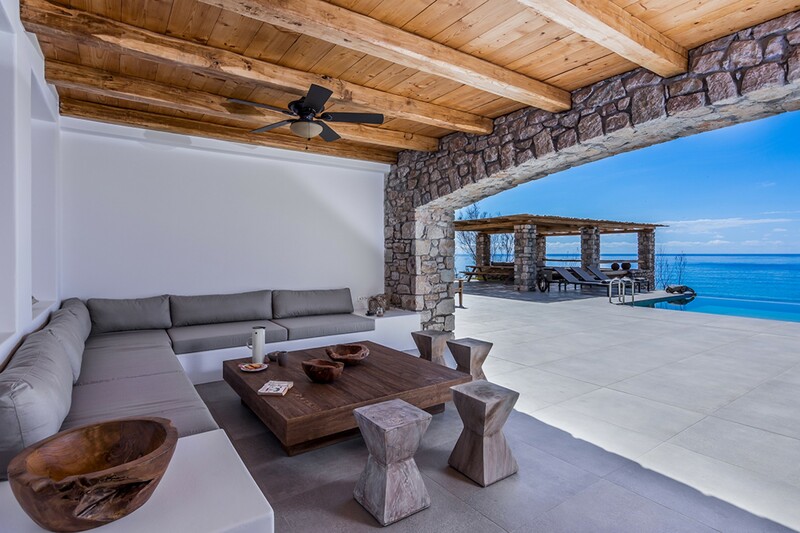 Making your way outside into the covered dining and seating area you will find the crisp waters of the infinity pool laying in front of you. 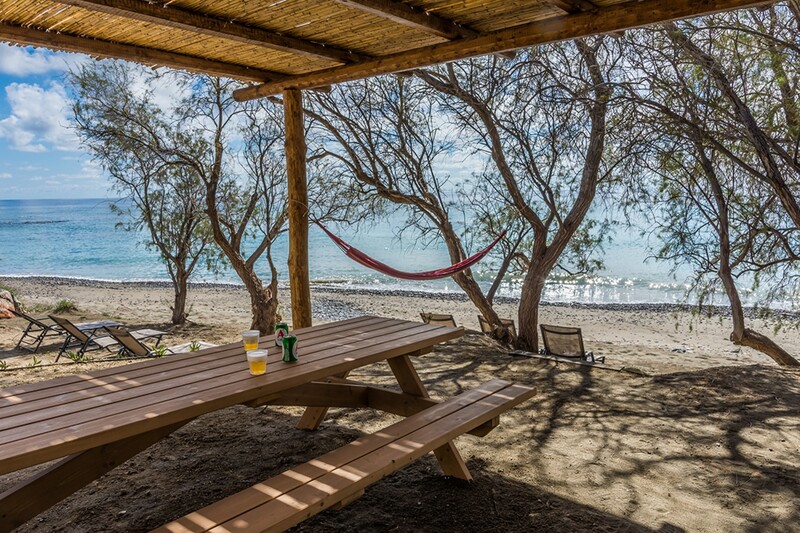 Here is the perfect place to read a book in the secluded shade as you listen to the waves lap lazily onto the shore below. You can slip into the pool for a refreshing mornings swim or pack a delicious picnic and walk down onto the sandy shore to spend a day on the beach. 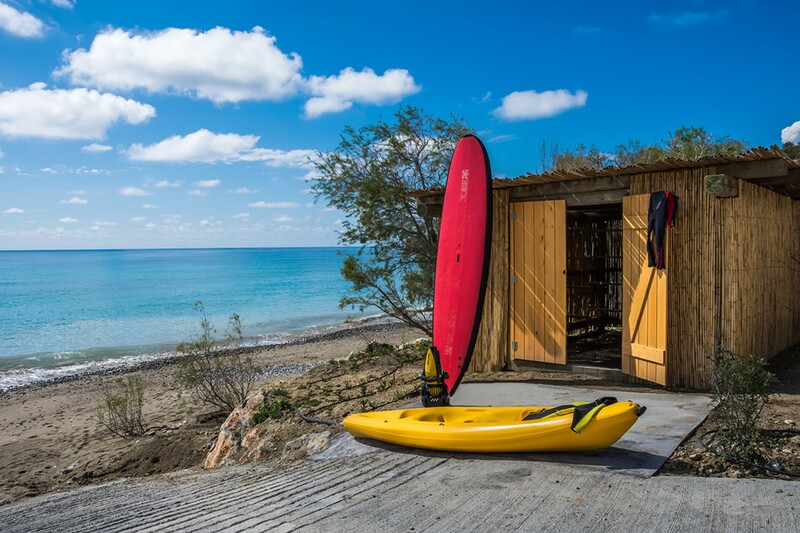 SUPs and Canoes are provided in the Villa, so you can explore the shallow waters around your private villa. Spark up the fully equipped Barbeque in the evening and enjoy a smoky meal surrounded by your loved ones. Watch as the sun sets over the glistening waters and the sky dots with stars. If you wish you can make an appointment for renting your own boat, enjoying a massage treatment or planning an adventurous trip as well as having a chef available in the villa. Out on the private terrace, you will come across the guesthouse block, which consists of two levels. 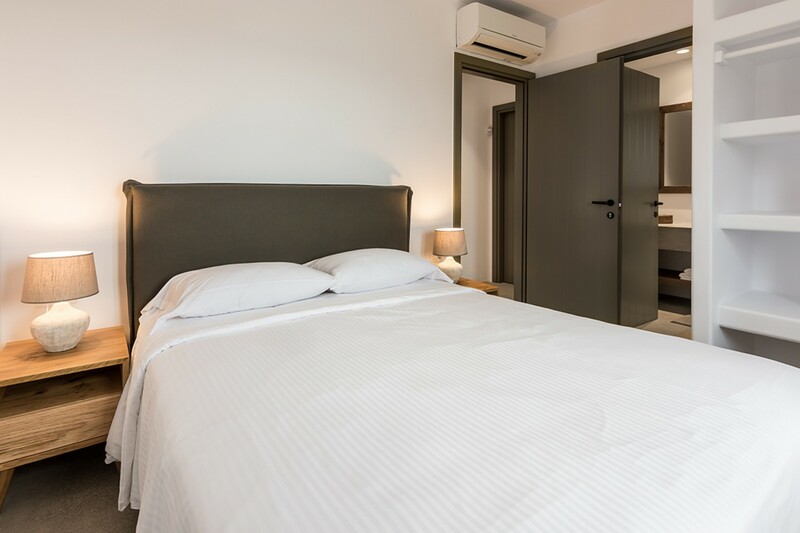 The ground floor is where you will discover the family rooms consisting of one double bedroom and a bedroom with three comfortable single beds. 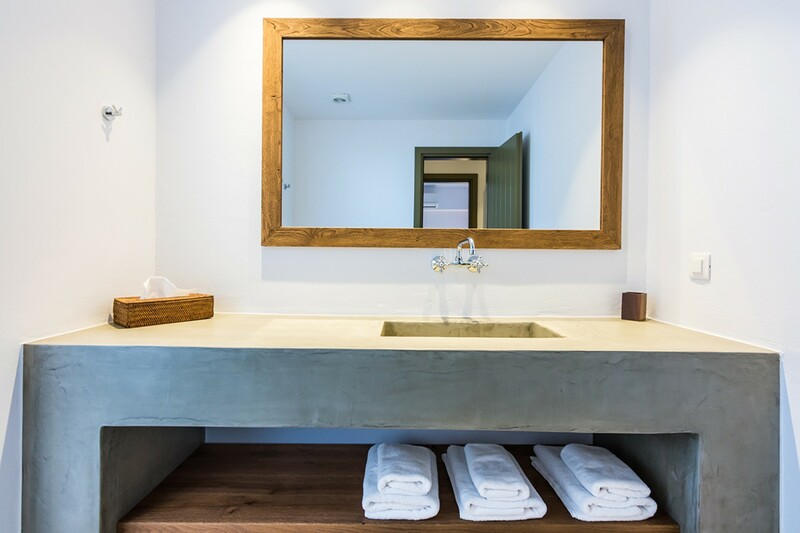 The bedrooms have en-suite bathrooms, one also has a standalone rainfall shower. 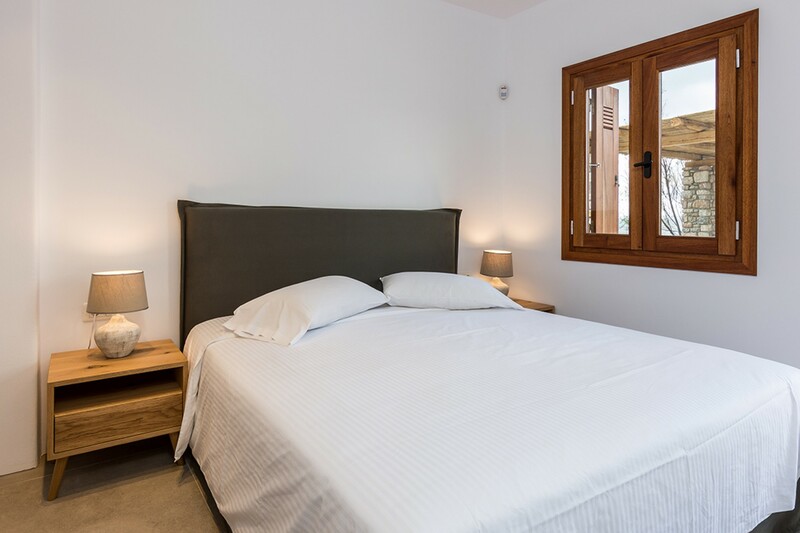 There is another Bedroom with independent entrance and has a double bed and one single bed with a private en-suite bathroom and stand-alone shower. Making your way up to the first floor of the guesthouse, you will find another Family room with an independent entrance. It includes two bedrooms, one with a double bed and one with two single beds as well as one en-suite bathroom with stand-alone shower. Also, you will find a bedroom with one double bed and en-suite bathroom with stand-alone shower. 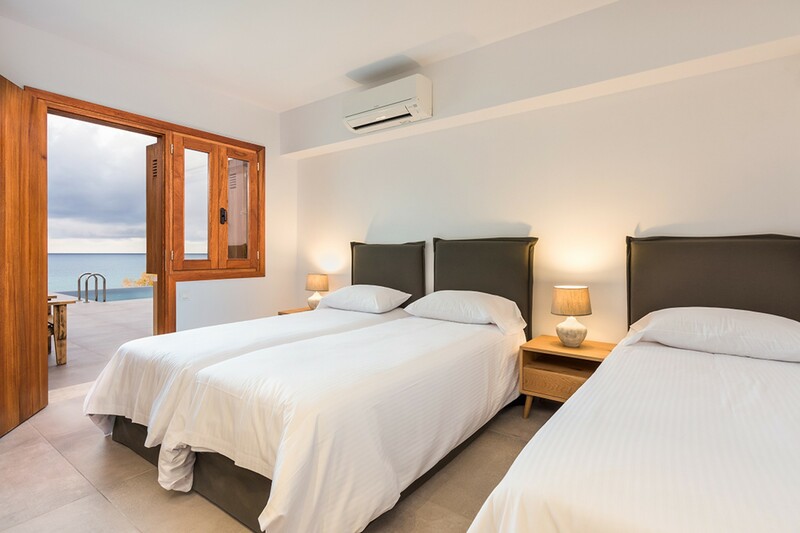 This bedroom also has direct access to the main veranda with the Barbeque outside of the master suite, the perfect spot to enjoy unlimited sea views of the Lybian Sea. 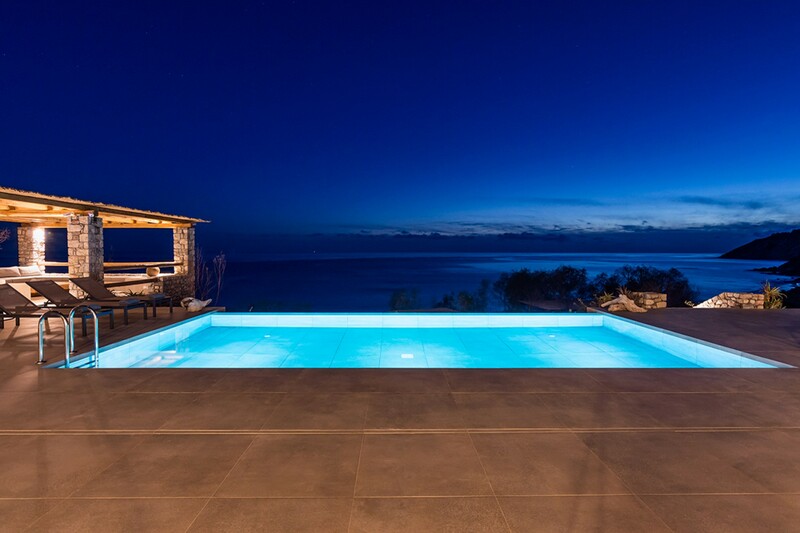 The villa includes an additional guest block which is perched in front of the sea, by the pool. Having an independent entrance, it is ideal for a couple since it features a double bed with en-suite bathroom. 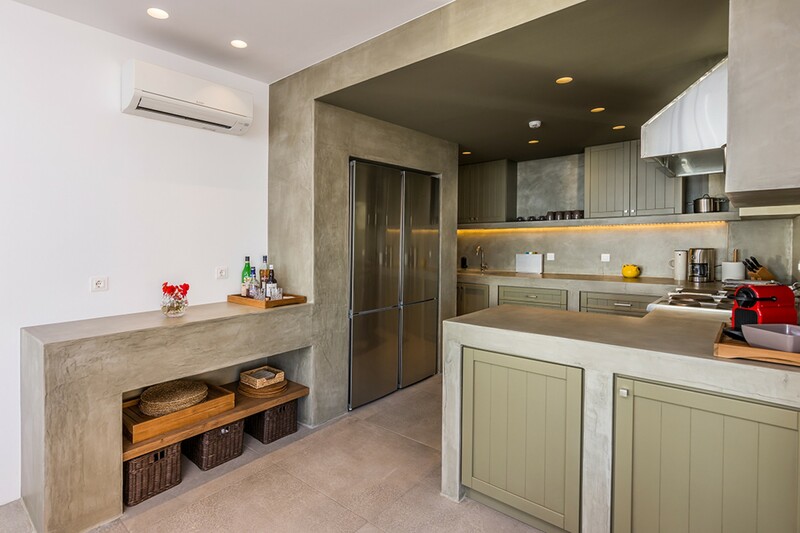 In total there are twelve separate bedrooms in the house with all of the rooms featuring their own high-resolution TV, air-conditioning and high-speed Wi-Fi throughout. 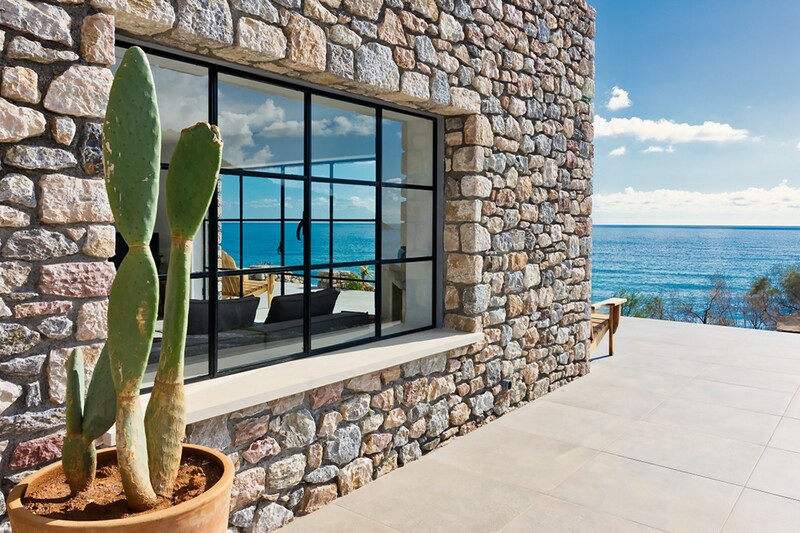 Celia is located on the beachfront (100m) in Crete, Greece. 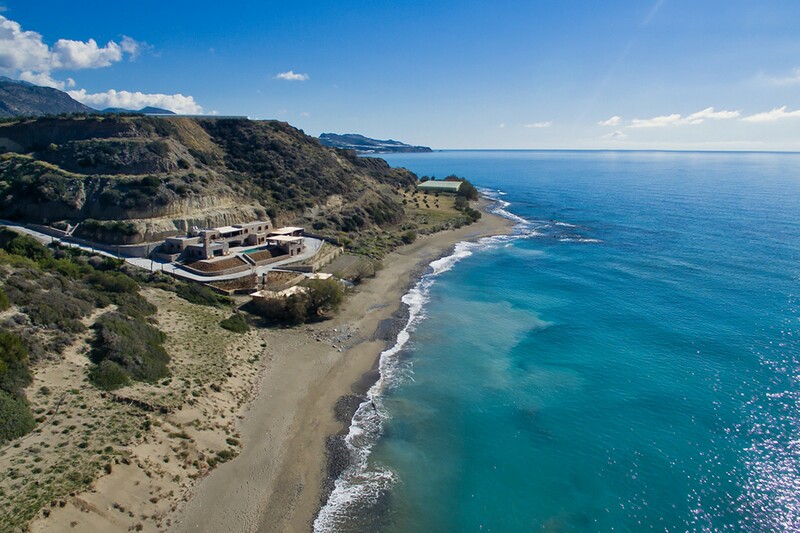 Situated on the sandy beachfront, your dream villa, Celia, has spectacular views over the Lybian Sea. 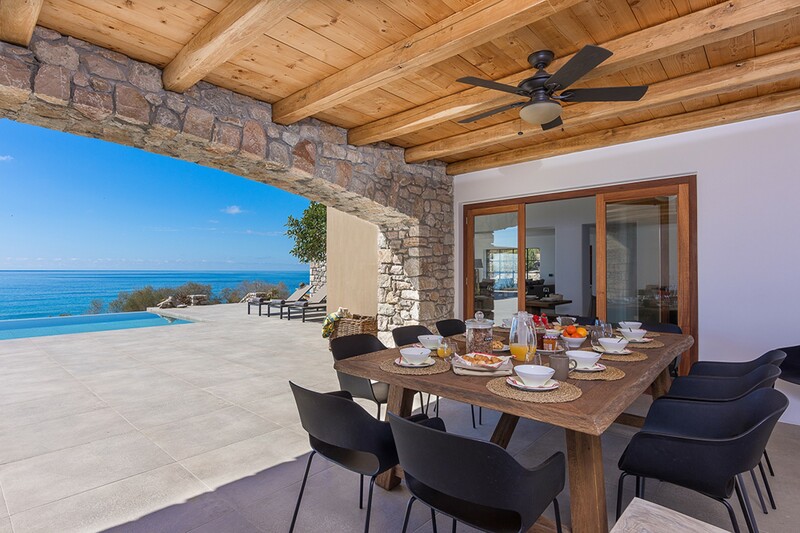 It is the perfect property for a large group of friends or families to enjoy the Cretan way of life. 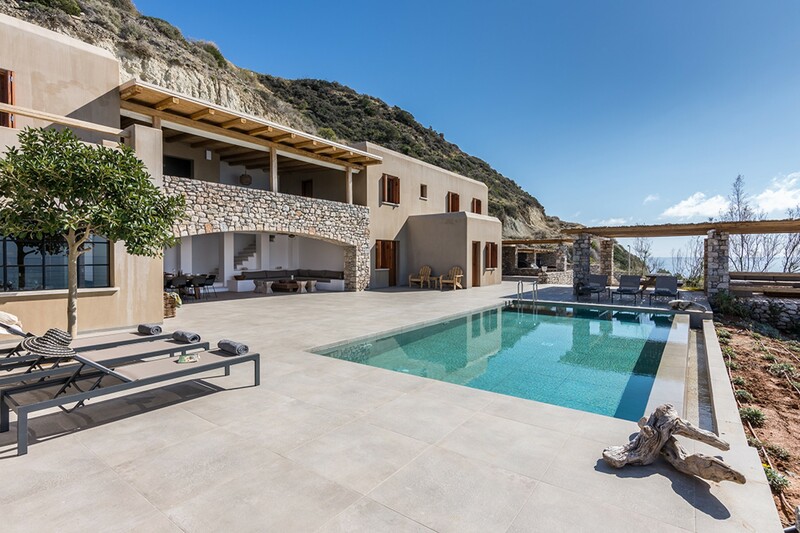 The villa is based 70km from Heraklion Airport, and a 214km from Chania Airport. Souda Port is based 70 km from the villa also. The local village of Arvi is a short five minutes’ drive being a short 3.5km in total. The local restaurants and shops here are all within a five-minute drive, making any additional amenities easily accessible to you. 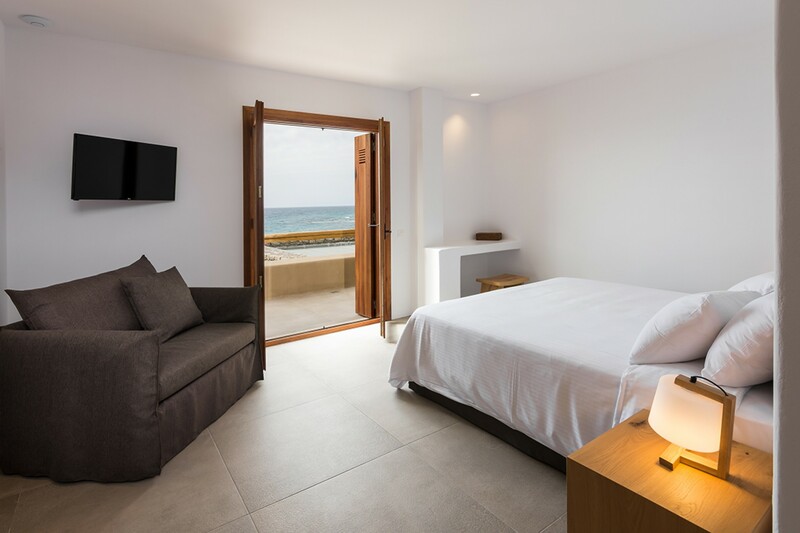 Bedroom 1 Master: Luxurious Master Suite with a large double bed, a sofa bed, Private En-suite bathroom with a stand-alone rainfall shower, Access to beautiful private veranda featuring a Barbeque, Incredible sea views. Bedroom 2: Spacious bedroom with three single beds, Private En-suite bathroom with a stand-alone shower. Bedroom 3: Large Double bed, Private En-suite bathroom with a stand-alone shower. Bedroom 4: Spacious bedroom with three single beds, Private En-suite bathroom with a stand-alone shower. Bedroom 5: Large Double bed, Private En-suite bathroom with a stand-alone shower. Bedroom 6: Luxurious Double bed and en-suite bathroom with a stand-alone rainfall shower. Bedroom 7: Three comfortable single beds, En-suite bathroom. Bedroom 8: Comfortable Bedroom with an independent entrance, one double bed and one single bed, Private en-suite bathroom with stand-alone shower. 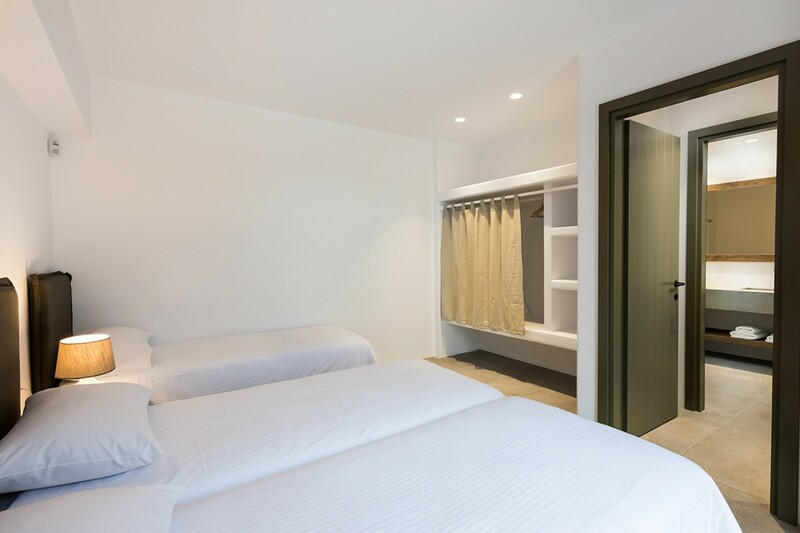 Bedroom 9: Luxurious double Bed, Private en-suite bathroom with a stand-alone rainfall shower. Bedroom 10: Spacious bedroom with two single beds, Private En-suite bathroom. 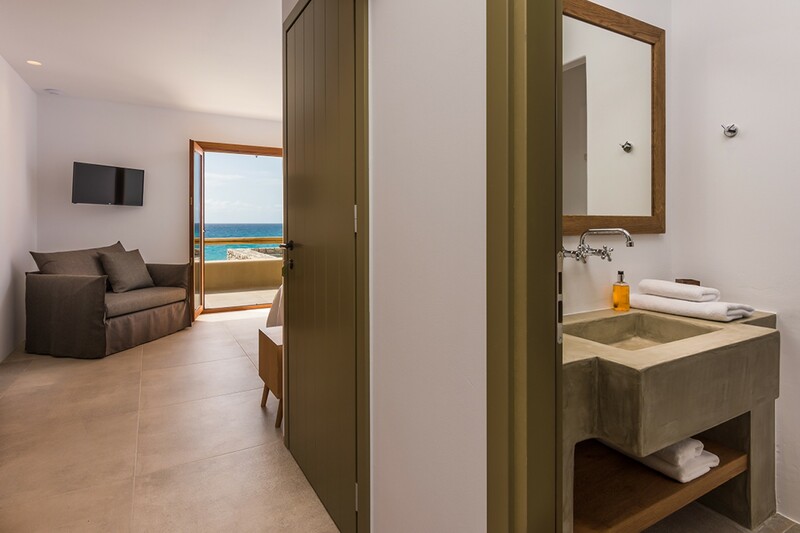 Bedroom 11: Large double bed, Private en-suite bathroom, stand-alone rainfall shower, Direct access to the main veranda with an outdoor Barbeque, Panoramic views of the Lybian Sea. Bedroom 12: Luxurious Bedroom with a double bed, a private en-suite bathroom, access to private terrace and pool area.